Are there actually good places to eat near and around Wall St? I just imagine the area mostly occupied by boring delis, pizza joints, generic Chinese take-out places and few high-end spots. So when my friend and his gf suggested we go to Crepe du Nord for dinner in Wall St I was like hm…….Wall St eh? Sure why not. Looking through the menu I was debating if I actually wanted the burger instead of getting a crepe. 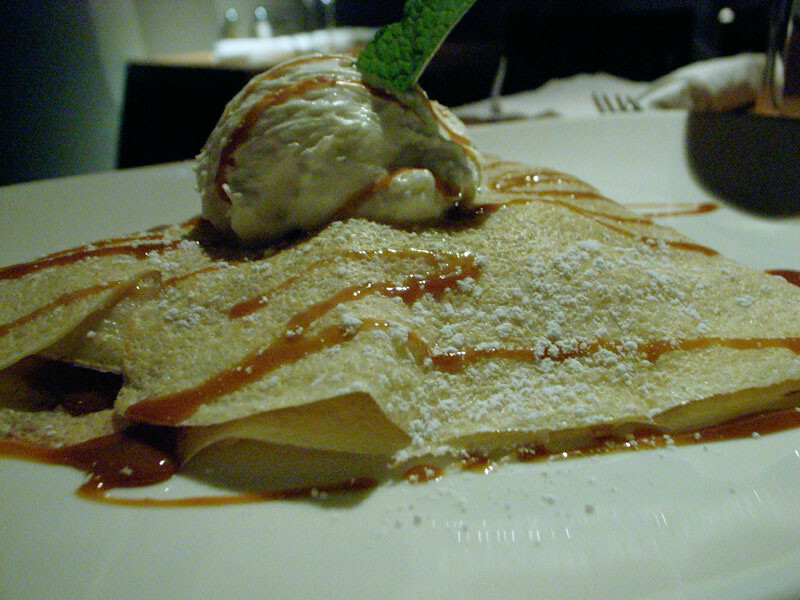 I’m actually not a big fan of savory crepes BUT sweet crepes YES PLEASE! 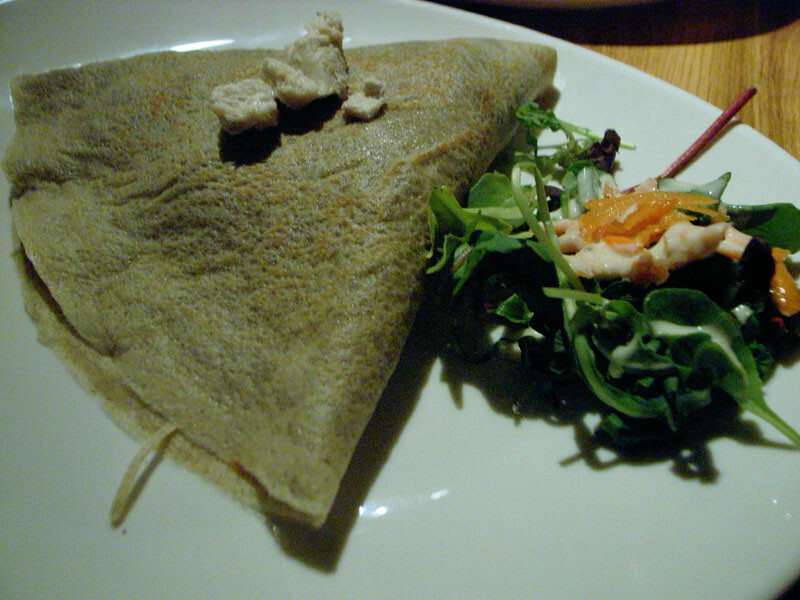 In the end I went with a savory crepe. To my surprised the crepe was a decent size. I think why I’m not a fan of crepes is because I would need to eat like 5 or more just to be full. 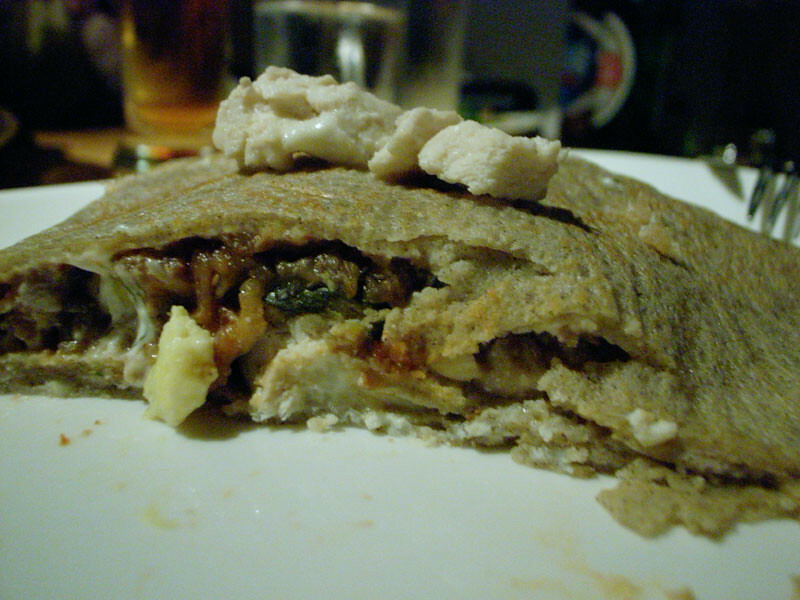 The country herb chicken crepe tasted great! Very hearty and tasty. I could imagine eating 5 of these during winter time. Still in my banana craving period so I went for this sweet crepe. This was good I mean you can’t go wrong with dulce de leche and bananas right? Also they’re doing a special where if you order 2 crepes, 1 savory and 1 sweet, you get a glass of free wine. Oh yeah! I definitely would like to go back and try other crepes but maybe as a snack. The place was cozy and a bit narrow and also it is in a historical building.